There is nothing more frustrating than having your green beans already in the bottles ready to be pressured when you remember that your gasket needed to be replaced this year. You run to the store only to realize that they do not carry it. It would have been better to have checked it out early in the season so it was ready to go when you needed it. 1. Look and see if there are any holes in the enamel. If so plan on replacing you canner. 2. Look at your wire rack, if it is corroded prepare a solution of vinegar and water to get rid of the hard water deposits. If the rack is bent out of shape or corroded so badly that you cannot clean it up consider replacing it. 3. Examine your lid and make sure that it fits properly and that it also does not have holes in the enamel. It is very important do these things if you have an older canner that has been passed down. Steam-Pressure Canners have a few more parts to check but it is not hard. Use only canners that have the Underwriter’s Laboratory (UL) approval to ensure their safety. 1. Check the inside of your pot. If it has darkened you can remove the discoloration by placing 1 Tbsp. cream of tartar per quart of water in the canner. Place the lid on the canner and bring the water temperature up to boiling. Pressurize the canner to about 5 lbs. Then turn off the heat and let the pressure drop to zero. Loosen the lid, but do not remove it completely. Let the canner stand for 45 to 60 minutes, then drain, rinse and dry. 2. Make sure you have a jar rack so the jars are lifted off the bottom of the canner during processing. 3. Make sure that your lid is in good condition. Check your gasket and pressure plug and make sure that they are flexible but fit tight. If it is brittle it will need to be replaced. 4. If you have a dial gauge have it checked at the Cooperative Extension Office to make sure it is in proper order. Even if your gauge is one degree off it can affect the end product. Having you dial gauge checked is very important to do every year. 5. If you have a weighted gauge, check it over and put it through a vinegar and water rinse to remove the hard water deposits that have collected inside the gauge. 6. Check your petcock by turning the lid up to the light. You should be able to see light through the opening. 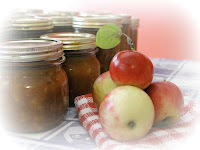 Another important item you will need is a current canning guide. You can obtain these at many retail stores during the canning season or at your County Extension Office. Steam juicers really do make your job easier when it comes to extracting juice from apples grapes cherries etc. If you have forgotten to clean it up before storage here are some tips to get it ready for this coming season. If the water pan has collected hard water deposits or sediments caused by minerals in the water, remove them by using one of the methods below. Add two capfuls of lemon juice or vinegar and 1 cup of water to the water pan and boil away the stains. Wash in warm soapy water, rinse and dry thoroughly. Rub a lemon half against the sediment. Wash in warm, soapy water, rinse and dry thoroughly. Use a stainless steel cleaner. Wash in warm, soapy water, rinse and dry thoroughly. Check hose and clamp and make sure they are in good condition. Food Strainers come with several parts so check to make sure that you still have all the parts from the previous year. Basic Living carries many of the parts if one is lost or broken. Check over all the parts and make sure that they are clean. The end of the screen and along the seam where seeds and skins may get lodged are troublesome areas. A small stiff brush works best to clean those spots. Before using your strainer this year apply a drop of vegetable oil to the rubber seal ring on the drive shaft if you haven’t already done that.